Daniel J. Balz, Washington Post’s chief political correspondent is one of the FBWE Village salon celebrities "back by popular demand," says FBWE village Gala co-chair Leah Schroeder. Last year, Foggy Bottom West End Village Salons sold out quickly. Those of you who missed the opportunity to meet, hear a presentation and chat with celebrities in one of our villagers’ homes, rejoice. You have another chance. Tickets go on sale on August 15. Go to FBWEVillage.org to buy. 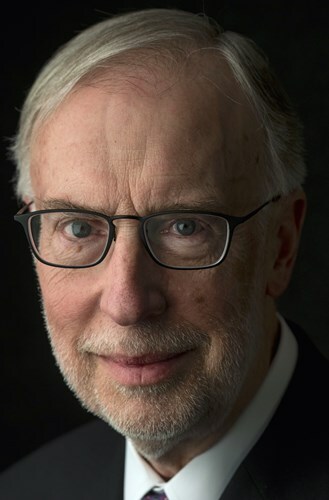 Dan Balz is Chief Correspondent at The Washington Post (https://www.washingtonpost.com/people/dan-balz). He’s been at the Post since 1978 and has been involved in the news organization’s political coverage as a reporter or editor throughout his career. The salon featuring Balz will occur after the presidential election and is sure to feature engaging campaign stories. Jane Scholz will host Balz at her home at The Plaza condominium. News reporting has changed since the days of a daily deadline. “We have to hustle more than ever before,” Balz says. “If we can’t confirm, we won’t go ahead,” he says about reporting. When information happens, we get it up as quickly as possible. The Post updates as it gets confirmation and additional information. It is true that candidate Trump denied the Washington Post press credentials to cover Trump’s rallies during the campaign. But the workaround was for reporters to get into rallies as citizens. Sometimes rally attendees were frisked and weren’t allowed to enter with their cell phones. Thus coverage was challenging but not impossible. Balz not only has a heralded career at the Post but is also author of four books, including two New York Times bestsellers: Collision 2012: Obama vs. Romney and the Future of Elections in America and, with co-author Haynes Johnson, The Battle for America 2008: The Story of an Extraordinary Election. His awards include the Robin Toner Prize for Excellence in Political Reporting, the White House Correspondents Association’s Merriman Smith award for deadline writing, the Gerald R. Ford Award for coverage of the presidency (shared), and the American Political Science Association’s Carey McWilliams Award. Born in Freeport, Ill., Balz graduated from University of Illinois at Urbana-Champaign and served in the U.S. Army stateside from 1968-71. Before joining the Post, he worked at National Journal magazine and the Philadelphia Inquirer. There will be as many as 11 salons; efforts are in place to finalize details with respected authors, art restorers, chefs and politicians. Salon tickets are available on the Foggy Bottom West End Village Website (http://www.fbwevillage.org/ ) starting August 15 and are $75 each. Don’t wait to buy tickets for your favorite celebrities; they go fast.